Analysts and CIOs agree that Data Growth, Performance and Scalability, and Ease of Management are significant challenges when deploying cloud infrastructures. What if you could simplify storage management and reduce the associated operating costs by 3x to 10x? What if you could scale your storage from Terabytes to Petabytes in just minutes with zero disruption to your business? 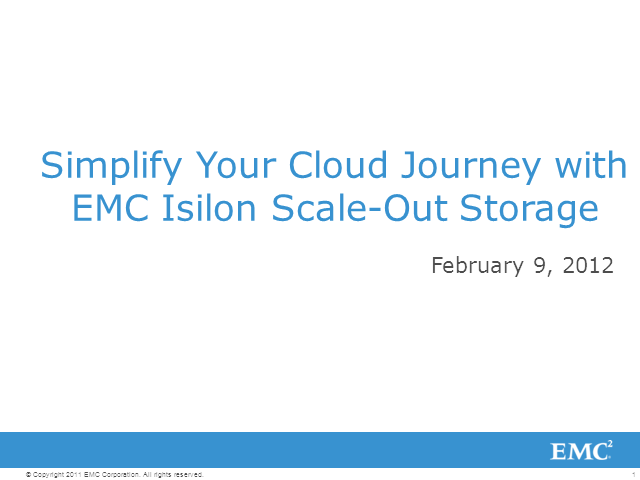 Attend this session and hear how our customers are using EMC Isilon Scale-Out Storage solutions to solve key challenges associated with cloud deployments, and learn ways to simplify your company’s journey to the cloud.